~A fictitious tale of an art teacher whose marriage becomes the life of art as her marriage begins to crumble. But then as the couple work through the pieces trying to determine how it came apart and determine if they should put it back together, the author refuses to hold responsible only one party. Robin Black’s ability to examine closely the relationship that is the prime focus of the story is her gift. Learn more about the author and her process here. While in New York City this week, I stopped into The Paris Theater and took in Le Chef that I mentioned a few weeks ago (a delightful film). And in doing so, I discovered a handful of other films I cannot wait to watch. One of these films, A Five Star Life, received very warm reviews and is being described as “part Up In The Air, part Eat Pray Love”. While the language is Italian (with English subtitles), based on the trailer and the story line, and the premise that “real luxury is the pleasure of real life. Lived to the fullest, full of imperfections”, I have a very good feeling about this one. Want to keep up on news, in particular French news in the United States? 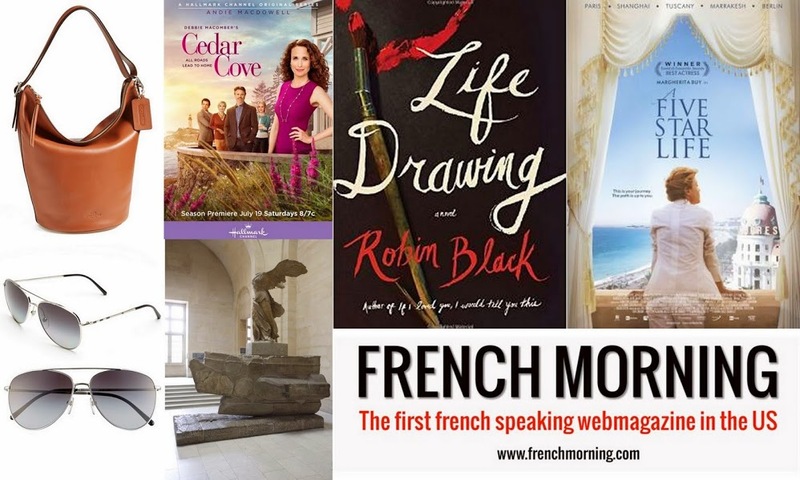 The first French speaking news website in the United States, French Morning, is a great way to hone your French reading skills (an English version is available), and discover French articles about style, politics, travel and art. ~Beginning today through August 3rd, fantastic savings can be found online and in stores. View my Weekly Finds in the right column to see some of the items I have found. And if you’re a Tom Ford sunglasses’ fan, his regularly priced $450 sunglasses are reduced to $300, click here. An investment, but why not save some money if you can? Hallmark has brought back the successfully launched series inspired by Debbie Macomber for a second season after a long awaited respite. Cedar Cove’s season two premieres tomorrow (Saturday) at 8pm. A small quiet Washington town nestled up against the water, relationships and friendships come into prime focus but the drama doesn’t get over-the-top absurd thankfully (at least it didn’t last season). I’m looking forward to tuning in, putting me feet up and enjoying the setting and simple way of living. As the week comes to a close, my legs have been walked to their limit (even with a few breaks now and then on the subway). And I must admit, while I had an amazing time in NYC (see my pics on Instagram here), I’m ready for the flight home today as I’m missing my dogs terribly and my home as well. However, part of the reason I am ready is that I have discovered all that I hoped to and even more treasures and gems of wisdom than I had expected. I am eager to share all that I experienced on the blog, and I will be doing so bit by bit in the next few weeks, so stay tuned. 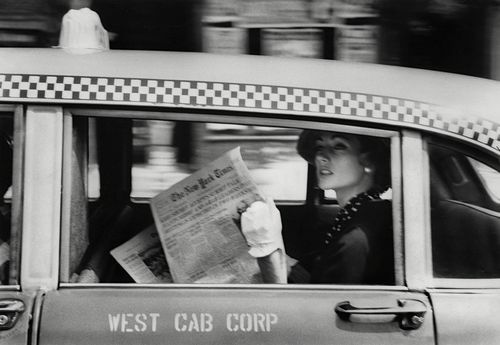 All in all, there really is nothing quite like the Big Apple, and as I depart, I eagerly look forward to my next visit. Here is one article while perusing through Thursday’s edition of The New York Times that I thought you might enjoy as it deals with our culture’s seemingly increased loss of time on social media. And with that, I’m off until Monday. Bonjour. Loved Le Chef…taking in Five Star Life this weekend! Paris Theatre is a great find here in NYC! I really don’t watch french movies all that much but I am quite intrigued by “The Five Star Life”. I want to see that. Also I will be traveling to New York next week! I can’t wait to see your entries on your blog! Fantastic! Shannon, thank you so much for sharing “A Five Star Life”! It looks wonderful. My boyfriend and I are returning to our home in New York at the end of July (he from a month in California and I from a month in Germany) and I am excited to see this film with him. He speaks Italian, is particular about great service and lives as full a life as anyone I know… I think he will love it! I love your blog, very nice ideas and lifestyle. So happy you enjoyed it! I can’t wait to watch. It looks fantastic.